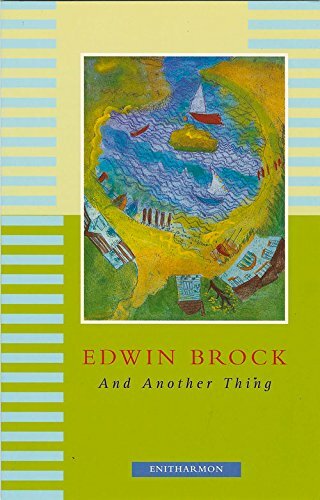 Edwin Brock (1927-1997) wrote two of the best-known poems of the last century, 'Five Ways to Kill a Man' and 'Song of the Battery Hen', but his work deserves wider recognition beyond these anthology favourites. Born in South London in 1927, Brock grew up in a turbulent working class family with no literary aspirations. He won a scholarship to a local grammar school but his formal education ended after he gained his School Certificate. Brock's interest in poetry was inspired by a paperback anthology of modern verse which he picked up idly as a bored 18-year old, waiting to be de-mobbed from the Royal Navy at the end of the Second World War. This chance encounter in Hong Kong was to prove revelatory and from then on Brock, completely self-taught, began to write his own poems. Gradually he started to be published, firstly in the smaller magazines and eventually in the Times Literary Supplement. During this period, Brock served as a police officer in the Metropolitan force, the unusual combination of policeman and poet giving rise to a brief period of fame when a tabloid journalist published an interview with Brock under the banner headline: "THE THINGS HE THINKS UP AS HE POUNDS THE PECKHAM BEAT". Brock was embarrassed by the sudden attention, but he continued to pursue his writing with serious intent. His efforts bore fruit when his first collection was accepted by the small but prestigious Scorpion Press in 1959. 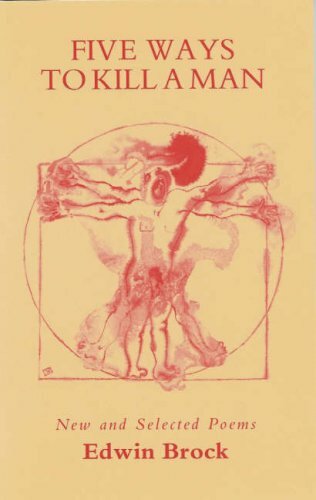 Its title, An Attempt at Exorcism, touches on the essentially personal nature of Brock's work, the frankness of which connects him to the Confessional Movement which at that time was in the ascendancy in the United States. 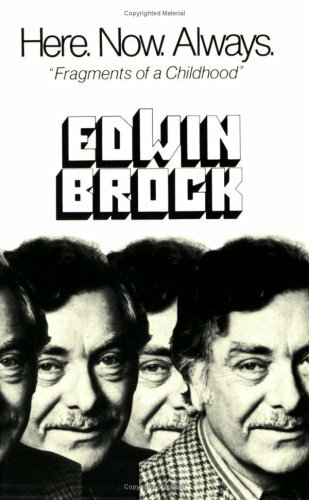 Indeed, Brock is one of the few British poets of this period to be known in America, with New Directions publishing several of his collections. 1959 was also the year of Brock's first marriage, to Patricia Weller, with whom he had a son and daughter. The marriage proved to be an unhappy one and was dissolved in 1964. The traumatic experience of marital conflict and divorce permeated his poetry at the time, for instance in the bitter and powerful 'An Arrangement for Seeing Children'. Brock by now had left the police to become an advertising copywriter, a profession which he claimed to despise, but in which he became very successful. Brock resented the way work distracted him from his real creative life in poetry, but he continued to write alongside his career, publishing over a dozen collections and becoming increasingly prolific toward the end of his life. He was also editor of the poetry magazine, Ambit, for almost four decades. In 1966 his status was recognised by his inclusion in the influential Penguin Modern Poets series together with Geoffrey Hill and Stevie Smith. He died in 1997 following a contented retirement alongside his second wife, Elizabeth Skilton, with whom he had shared thirty happy years. Brock's three Archive poems amply demonstrate the virtues of his "intensely felt, supple, direct and memorable work" (Anthony Thwaite). 'Five Ways to Kill a Man' is chilling in its deliberately emotionless tone as it uses the language of a practical manual to explore humanity's cruelty. Progress is reduced to the way in which mankind has "improved" its methods of killing. Inspired by a performance of Benjamin Britten's War Requiem and written quickly, the poem has an air of authority which Brock's reading emphasises. 'Song of the Battery Hen' is similarly suited to being spoken aloud. Though written as a dramatic monologue, in his introduction Brock makes it clear the poem has autobiographical resonance. This poem is a good example of his belief that "most activity is an attempt to define oneself in one way or another: for me poetry, and only poetry, has provided this self-defining act."